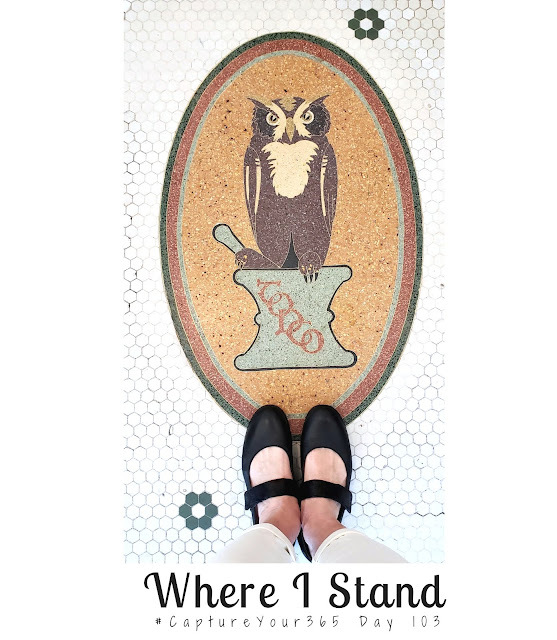 Capture Your 365 Day 103: Where I Stand. At Trail Roasters Coffee, enjoying a delicious latte. as the Owl Rexal Drug Store.